The Compressport Full Compression Socks ensure the user gets both maximum performance and recovery in the one sock! It's graduated compression combined with comfortable design optimises blood flow and stimulates venous return, making it ideal for running, cycling and even long flights. 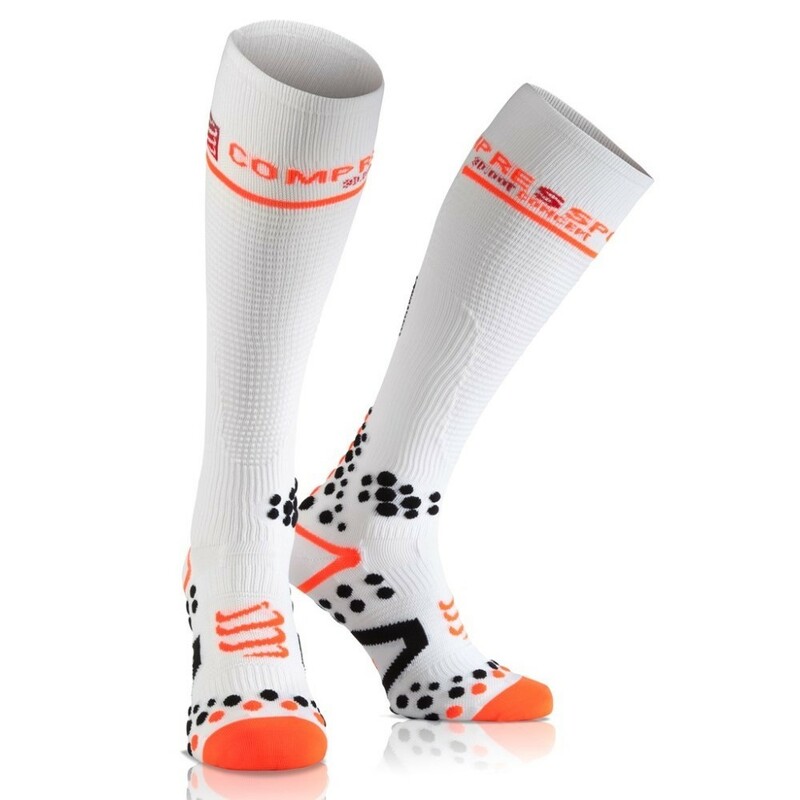 Inbuilt with the Patented 3D.DOTS unique to Compressport; the Full Socks absorb shocks and impact on both the calf and feet while also being well ventilated and thermo-regulated. Being Compressport it is 100% European Made; Seamless and now with it's new Design Hemless also. Use it for Maximum Performance or Recovery!